How would you feel if a trusted, long-time friend of yours referred you to a restaurant for dinner, promising you that you will have a good time, but when you got there you found that the food was horrible, the place was not clean and you had a very bad overall experience? Not a good feeling, right? The next time this friend refers you to a restaurant, you will probably think twice. And if the bad experience continues, you will probably stop trusting your friend and stop taking any inputs or advice from that person. Bad user experience not only impacts the brand perception of the website they visited, but it also leaves a bad impression of the search engine in the user’s mind. Now you understand why search engines like Google give a lot of importance to User Experience (popularly known as UX) and consider it as a key ranking factor for their search results. It is a matter of trust. They want their users to trust them, knowing that every time they refer to a website, the user will have a good experience. That is the sweet spot where every search engine wants to be. Search engines invest a lot of effort to track, measure and record the user experience of websites and use it as a ranking factor. When they know that a particular website consistently gives its users a good experience, they might consider ranking them higher. As an organisation, if you work on creating a great user experience every time your customers interact with you online, you will not only build a loyal audience for yourself, but you will also be in the favourites list of the search engines like Google, and they will do all things possible to try and rank you on top for the relevant keywords. First, let us try to understand the 2 commonly used industry terms – ‘usability’ and ‘user experience’ or UX as it is popularly known. To help us understand, let us assume that you are a Not-for-profit eCommerce website that sells children’s garments for a cause. Definition: Usability is the ease with which a user is able to accomplish a task or a goal. Is your website well organised with different products listed based on type, age, size and colours so that she can quickly find what she wants? What if she uses her mobile phone to do the transaction? Do you have a mobile-enabled site or a mobile app that can help her shop with ease? Definition: User experience is the sum of all actual and perceived physical, mental and emotional experiences of the user while trying to accomplish a task. In fact, in this specific example, the user experience (UX) is something that you should keep track of even after the sale is complete – steps like the shipping and delivery of the t-shirt, the returns, the after-sale service, etc. should also provide a good experience. For example, even if you have the world’s most usable website or mobile app, if the shipping and delivery did not happen as promised or if the product does not meet the expectation of the customer after delivery, then the customer may not come back to you. The user experience of your website is not only important for your organisational growth, but also for the search engine’s business growth and survival. To help you understand this, here is a quick & simplified overview of how search engines work & their revenue model. #1 – Search engines create a copy of all possible webpages on the internet (millions of them) and store it in their servers. Technically, this process is called crawling and indexing. Every change that is made to a web page is also recorded, stored and organised. #2 – When users type a search term (keywords) on a search engine like Google, the engine searches millions of web pages that are stored in its records and retrieves a set of pages that may be relevant to that search term and lists those links for the user. This process is called retrieval and listing. #3 – Users look at these listing and click on one (or more) links hoping that one of the web pages will meet their need, answer their question or solve their problem. #4 – Once their need is met, the user is happy. And when they have this good experience every time they search, they become a loyal user of that search engine. #5 – As time goes by, there is a good chance that a small percentage of these loyal users might end up clicking an ‘advertising’ link that is placed strategically alongside the free organic search results (see image below). Usually, the advertisement is also related to the search term, so it’s usually a relevant page for the user. In this case, someone has paid to have that link appear on top of the search results. #6 – The advertisers who placed that ad in that location are happy that they found a new customer and they are willing to pay the search engine to make this happen again and on a regular basis. This is how search engines make money through ads. All search engines have advertising products; Google’s advertising product is called Google Adwords. You will see that point #2 is key for the success and growth of any search engine – listing websites that are not only relevant to the user, but also providing a good experience for them. 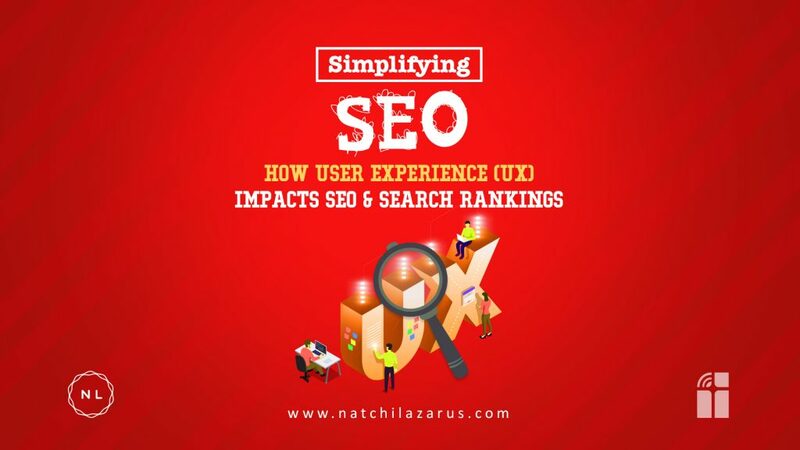 This is why user experience is considered as an important search ranking factor by all search engines. As an organisation, as time goes by, it is natural for any nonprofit or business to get carried away by the gazillion tasks that need to be accomplished on a daily basis and forget the original purpose and plan that you had to serve your audience. Surprisingly, going back to the basics can provide a lot of clarity from a user-experience perspective. If your current online & offline set up is optimised to help you serve, as per your original plan? Look at your measurement tool (like Google Analytics) and analyse the current ‘customer journey’ or the path that they take within your online asset. (In the next point I will give you a Flow Visualization Tool that can help you do that). Then list down an ‘ideal path’ that you would like your users to take. See where the gap is and try to bridge it. This process will help you remove roadblocks or hindrances in their path and make the ‘customer journey’ smooth and pleasurable experience. For example, You could list down the probable goals of a user and then list the keywords associated with each goal. You can use Google Analytics to visually track the entry point of the customer, the point of exit and the path they take when they are interacting with your website. This can give you crucial insights into the user experience. Learn how to set up and use the Flow Visualization Report here.